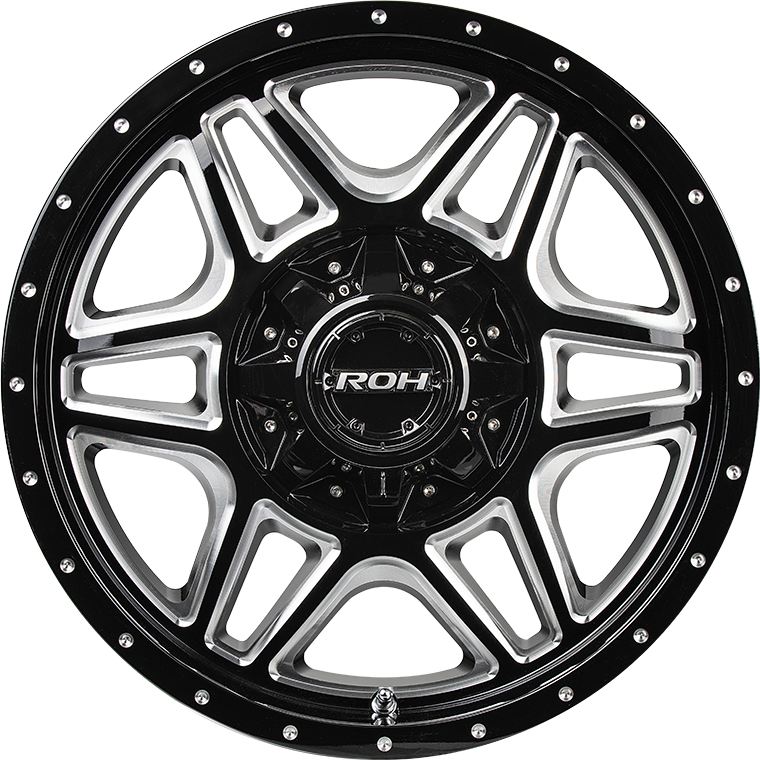 The all new ROH Maverick 4×4 wheel comes in gloss black finish with aggressive billet style milling. Maverick is a high load-rated unique billet style wheel enhanced with aggressive billet style milling and bright CNC milled features on the gloss black lip. Maverick features the ROH Easycleans® Gloss Black Baked Enamel finish which provides superior salt spray performance and anti-weathering durability. New to the exclusive range of ROH Dakar Proven Wheels®, the all new ROH Maverick 4×4 wheel comes in gloss black finish with aggressive billet style milling. Maverick is a high load-rated unique billet style wheel enhanced with aggressive billet style milling and bright CNC milled features on the gloss black lip. Maverick features the ROH Easycleans® Gloss Black Baked Enamel finish which provides superior salt spray performance and anti-weathering durability, making it an ideal wheel for both recreational and commercial end-users. Maverick will fit a large range of the most popular 4×4 and SUV vehicles and is ideal choice when fitting a GVM+ suspension upgrade.